Archive for the ‘Gananoque Ontario’ Category. Residents are asked to place leaves and yard wast at the edge of the street or alley no later than 7 am on the date below. North Ward (All North of King Street & East of the King Street Bridge) – May 13th – May 18th. The works yard will be open for brush, leaves and yard waste drop off on Wednesday and Saturdays from 8 am – 12 pm at the James A. Brennan Road Entrance starting May 1st, 2019. The Town has closed the entrance from Charles Street, North. Biodegradable paper bags must be used. Plastic bags, loose leaves and loose yard waste will not be picked up. Cornerstone Church invites all children age 0 – 12 to our free Giant Easter Egg Hunt. 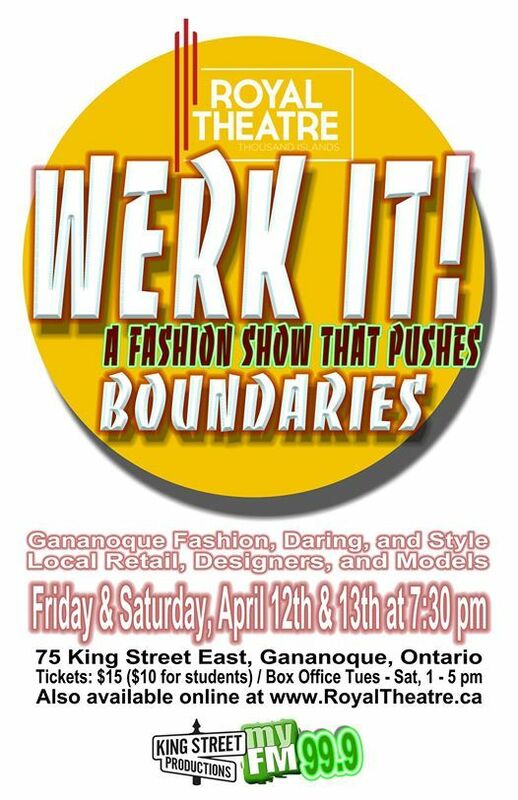 Mary Holmes & Kaitlin Agius are on fire, in full prep mode for “WERK IT!”, the Gananoque Community Fashion show! The Royal Theatre Thousand Islands is a venue which adds to Gananoque’s cachet as an Arts Destination in Eastern Ontario. Play offs for Leagues continue…. Only 36 teams will be accepted! This Bonspiel quickly fills every year! Call Jayne Curtis to reserve your spot today! Be sure not to miss out on this fabulous deal! Canada has produced some the finest singer/songwriters know throughout the world. Three iconic Artists Gordon Lightfoot, Ian Tyson and Neil Young are all featured. Performed by Cliff Edwards, Kevin Head and Wayne Huff. by C. Perry, contributing artist for Wildlife Canada Heritage.